Although the choreographer gets the possessive credit, just as the director owns a film, this production was a perfect storm of talents. Alina Cojocaru in the eponymous role was the ornament of the stage, Isaac Hernandez as her lover Albrecht was the model of chivalry. There was a dark fairy-tale ambience to Tim Yip’s costumes; they moulded sinister personages who you could come across only on a hell-infested night. In the clinky-clanky synchronicity of Vincenzo Lamagna’s score you saw the mechanical monstrosity of the factory floor and heard the taut chains of slave labourers. As for Akram Khan’s choreography, you immediately notice that he likes a busy stage – English National Ballet have an illustrious corps, so why not make use of them? – for Giselle and Albrecht are never together alone (remember that old Paul Weller line about two lovers missing the tranquility of solitude?). Colour and clutter is a constant. Khan is best at processional visions where ranks of dancers plaid into one another. These scenes are like watching an abstract painting in motion, something by Malevich, say. This is a munificent production whose great virtues and qualities do full justice to the ballet that is the dark jewel in the crown of the classical repertoire. If you have an evening when you can get off from collating Polybius with Livy, I’d say go see it, give it a whirl. 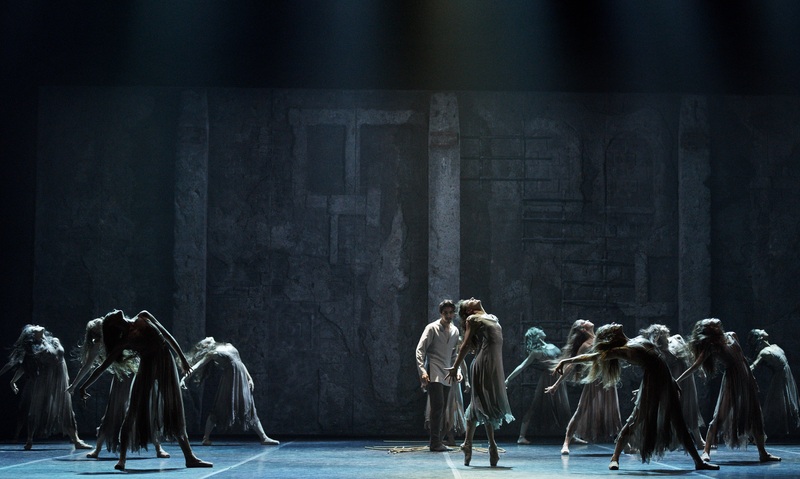 Giselle is at the Palace Theatre in Manchester until 1 October then it tours the UK, ending up at Sadler’s Wells in London on 19 November. Details here.